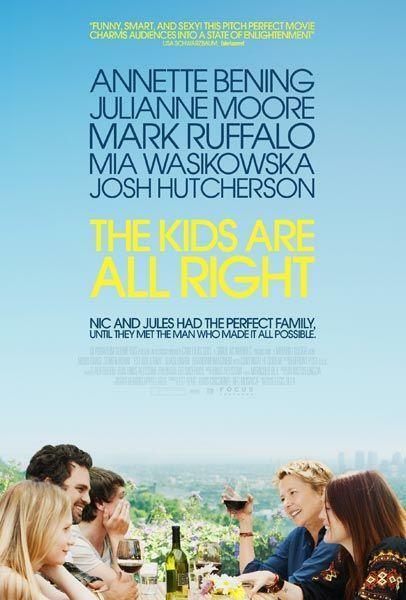 Several levels of family drama consume the new indie flick The Kids Are All Right. The film takes viewers through intense and uncomfortable situations that dig pretty deeply into showing why marriages can be such fragile agreements between two human beings. I would be surprised if Mark Ruffalo and Julianne Moore aren't nominated for Academy Awards. Ruffalo (whom I really like and am surprised that he hasn't been in more really good movies; Eternal Sunshine of the Spotless Mind is the only one that comes to mind) is the sperm donor to Moore and her wife, played by Annette Bening. Moore has been in too many great movies to mention, has been nominated for best actress four times, and may seriously take home her first win this winter. Although I really wanted to see Inception or one of the silly comedies currently in theaters, this ended up being a really good choice for date night this past weekend.